If you are looking for a blissful, tranquil and breathtaking location for your celebration, then this is it! 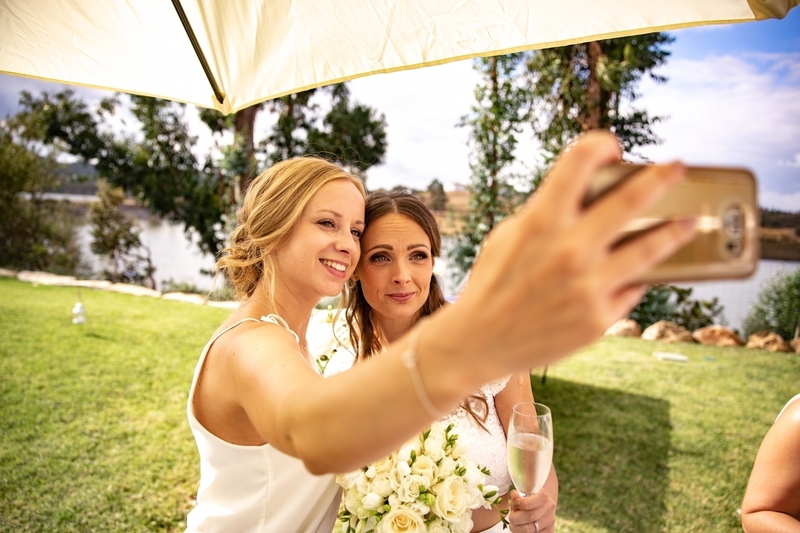 Enjoy your rustic wedding celebration in the Algarve with clean country air and spectacular sunsets to provide an unforgettable backdrop for those important photos. 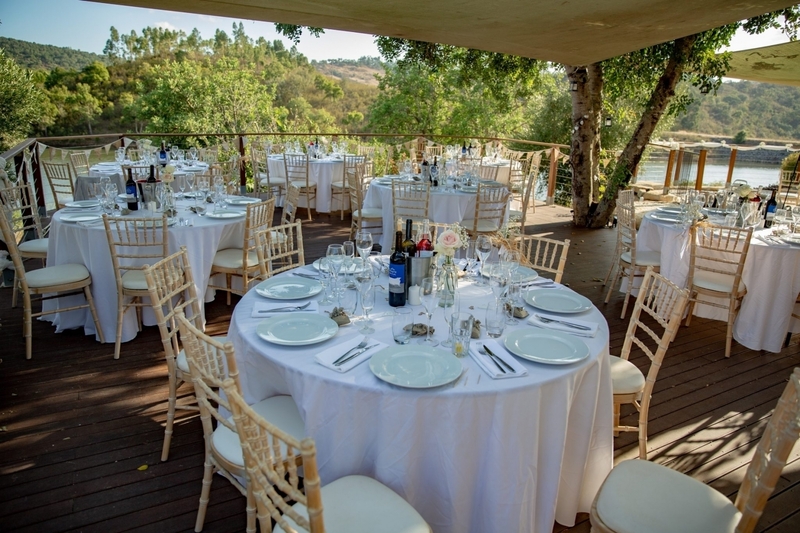 The spacious, tranquil outdoor areas are ideal for serving pre-party Champagne and canapés near the Pool Deck, the ceremony on the Sunset Terrace and the reception dinner under the canopy of the mature carob trees on the Waterfront Deck . This is truly the ultimate secluded and peaceful spot for up to 100 guests for drinks or 70 for a sit-down dinner. 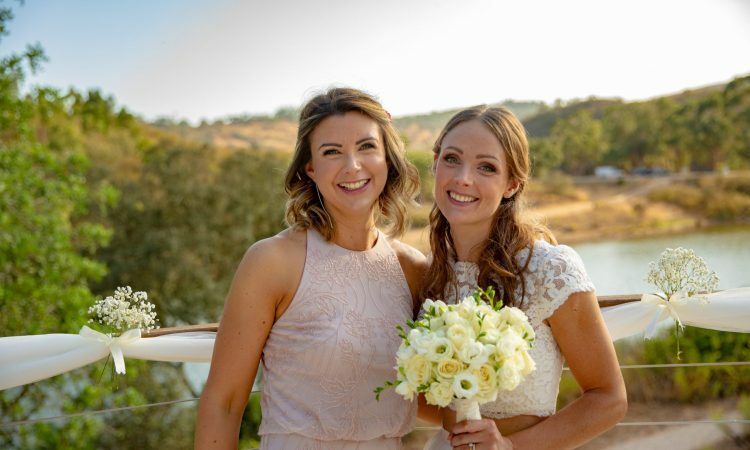 The following video has been lovingly created to inspire you to visit Figs on the Funcho where wedding moments are captured with beautiful rustic and country photo backdrops. 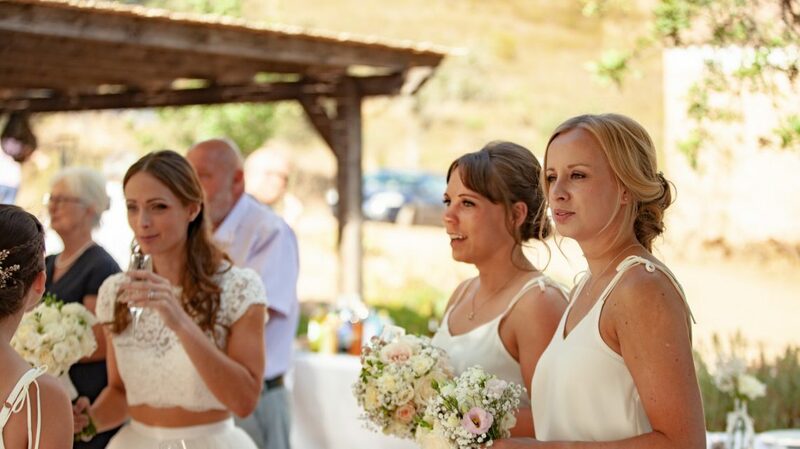 Portugal wedding memories to cherish forever. 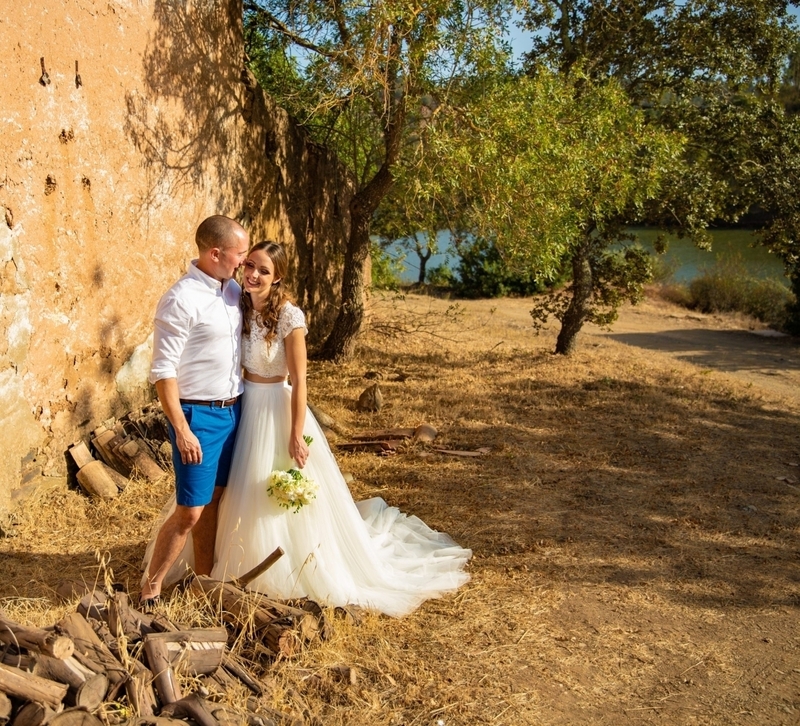 Just a 35-minute drive from Faro Airport into the Algarve’s peaceful countryside, The River House and The River Lodge (available from 2021) can be rented exclusively for your intimate wedding celebration. Five double spacious, airy and fully air-conditioned bedrooms – two with ensuite bathrooms – and a large communal bathroom. All rooms can have single beds upon request. Light and airy social spaces, a high-ceiling lounge and kitchen outfitted with a center island and a cherry wood dining table. Spacious deck area with terraces offering warm sun, a cool canopy, and natural shade, all with stunning views of the countryside and breathtaking sunsets. 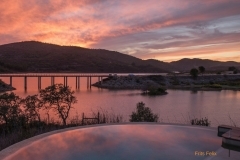 An infinity pool with jaw-dropping views of the Funcho dam and river area. Three double bedrooms fully air-conditioned with en-suite bathrooms and access to the garden. All rooms can be made up with single or double beds. An ideal location for your wedding guests is a beach hotel, only a 30 minute drive from the villa, with panoramic views of the ocean, a gorgeous sandy beach and in strolling distance to shops, cafes, restaurants and nightlife. The hotel has a lovely outdoor pool overlooking one of the best beaches in the Algarve. A coach to transport your guests to Figs on the Funcho allows everybody to enjoy your celebration. Cheryl can help you with all the arrangements. Enjoy a family style lunch, dinner or BBQ on the waterfront deck where you can enjoy a wonderful welcome to all your loved ones. Contact Cheryl for menus and options for this special occasion. Whatever you are looking for your wedding abroad to be: an intimate gathering or a full-blown party, and whatever style you would like to achieve: vintage, shabby chic, rustic, we can help by putting you in touch with local wedding planners, caterers, independent chefs, musicians and photographers. It’s your day, and we are here to help you achieve the perfect wedding celebration in the Algarve, and will make sure it turns out to be exactly as you envisaged. 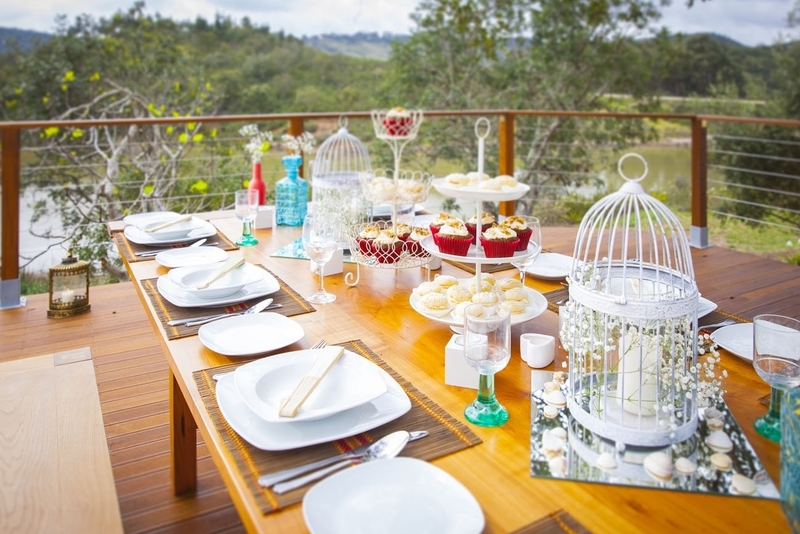 We have a selection of wedding decorations at our venue to help you style your outdoor wedding. If you looking for wedding inspiration then take a look at this video showing Figs on the Funcho styled for a rustic wedding celebration. Bring some of your own personalised decorations such as bunting,lavender hessian bags for party favors and family photographs for a photo wall to infuse your own personality. 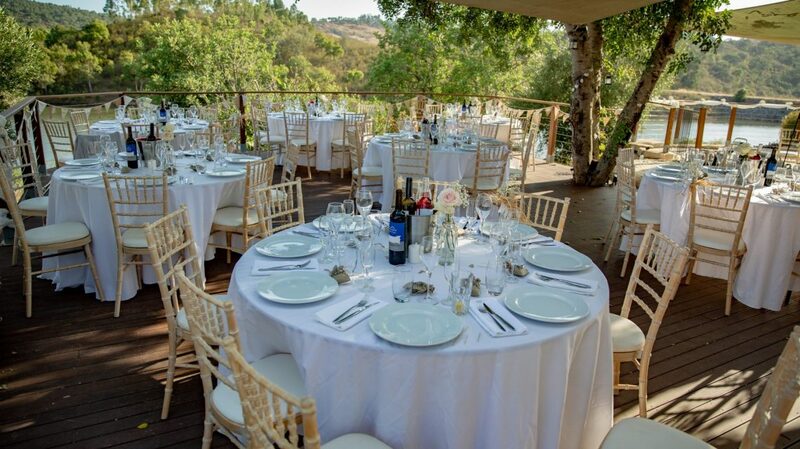 An idyllic riverside wedding ceremony and reception location at Figs on the Funcho for the agreed number of guests. An intimate rehearsal dinner location for up to 20 – 25 guests to be held on the waterfront deck with gorgeous tranquil views for your immediate families, close friends and relatives. Spacious, rustic and tranquil outdoor areas overlooking the surrounding countryside and river for your welcome cocktails, ceremony and wedding reception. Wedding photos with spectacular sunsets and river views, see our wedding gallery below. Your music license so you can dance the night away. 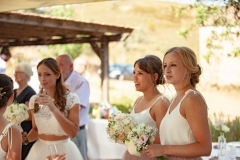 Cheryl’s list of suppliers to help you plan your perfect wedding celebration in the Algarve. The River House accommodation can sleep up to ten guests and three babies in cots for a week. The 5-bedroom villa has spacious, comfortable and fully air-conditioned double bedrooms, 2 with en-suite bathrooms and a large communal bathroom. 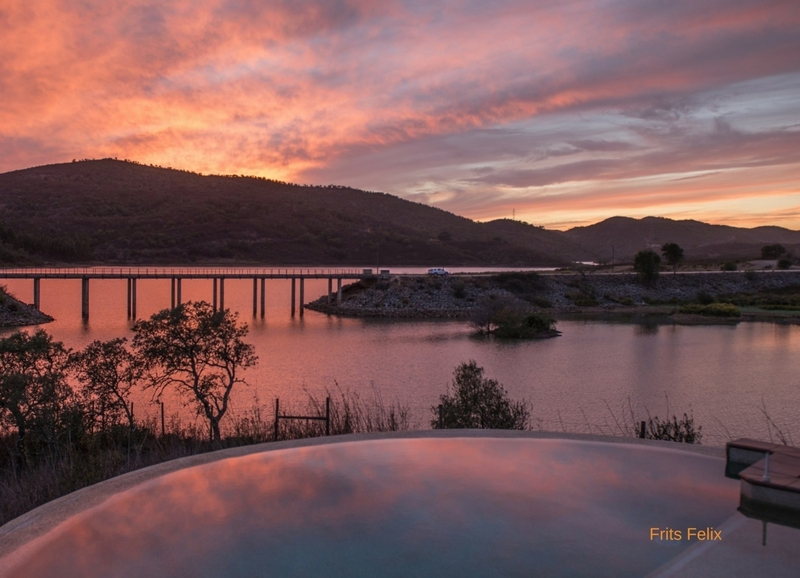 The River Lodge can sleep up to six guests (from 2021), all with en-suite bathrooms for a week. All rooms have WiFi, duvets, linens, towels, hairdryers (in bathrooms), downstairs walk-in showers with grab bars, anti-allergy fibre pillows, mosquito net doors, heating, and A/C, some also have televisions. An infinity splash pool with a martini seat! Bath towels, linen and swimming towels are provided. A mid-week clean and fresh bath towels are provided. Light and airy social spaces, a high-ceiling lounge and kitchen outfitted with a centre island and a cherry wood dining table. Planning your wedding day but we can help you by putting you in touch with local wedding service providers and planners. Musicians, flowers, photographer, celebrant etc. Ask Cheryl for previously booked and recommended local suppliers. Food caterer or independent chefs. We can provide various options for food caterers, that come recommended, to suit your style. 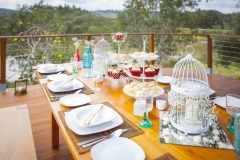 Wedding furniture, table linen, crockery and cutlery for use on the day. Our recommended caterer will help you select the items required and take care of all the requirements including the delivery, collection and setup. Kitchen help. Our expansive fully equipped kitchen is the perfect setting to turn fresh, seasonal produce purchased from the nearby Farmers Market into delicious delights. Shopping service – Have local ingredients procured for you courtesy of our shopping concierge service. During your stay request additional cleaning, towels or linen if required. Transportation for you wedding guests. We recommend hiring 33-seater coaches for transporting your guests. Wine and beer. Arrangements can be made to send a selection of Portuguese wines for you to sample in the comfort of your own home. Wines can be bought on consignment for the wedding celebration so you can return the unopened wine bottles. Beer barrels are great to have beer on tap and delivery can be arranged from the supplier in the village. Wedding decorations. A standard decoration set is for hire allowing you time to focus on you own personalised decorations. Wedding favours. Popular Algarve tokens for showing your appreciation include local honey and handmade soaps. Take the stress out of your celebration and get in touch to discuss how we can help with all the details. Celebrate your honeymoon at our apartment on the five star, first class luxury beach front resort, Pine Cliffs. Credit: Photography by Charlotte-Jane Photography and Daracle Photography.